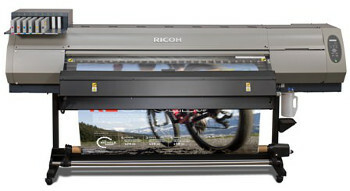 Ricoh Pro L4100 Large Format Printer SeriesRicoh has confirmed the European availability of its new Ricoh Pro L4100 latex large format printer series. The new roll-to-roll printer, officially available in the Irish market from March 2014, comes in 130cm (53 inch) or 160cm (63 inch) widths and supports up to seven colours in various configurations. In addition to CMYK, orange, green and white inks are also available. The Ricoh ProTM L4160 and L4130 have been developed to deliver high print productivity and quality as a result of technological innovations which include the Ricoh piezo electric print heads. As befits a company which has a strong commitment to sustainability in business and life, the new series also meets the market need for products that reduce environmental impacts printing through its use of aqueous latex ink and ability to operate with low power consumption. Stephen Palmer, Director, Production Print, Ricoh UK & Ireland, said, "Following the early reveal, at drupa 2012, of our intention to grow our portfolio with the system, the Ricoh Pro L4100 series has been through Ricoh's rigorous quality assurance process, and we have been assimilating the positive customer feedback we received. As well as being ideally suited for the specialist signage market, we are particularly excited to be able to offer print services providers in the UK another solution to support their business growth and offer new services such as display and signage to their clients." The Ricoh Pro L4100's latex ink is an aqueous (water-based) ink which contains a low level of Volatile Organic Compounds (VOCs). It has no odour and the low curing temperature of 60°C ink enables both quick drying, for a fast job turnaround, and the ability to print on many heat-sensitive substrates without damaging them. This includes an extensive array of media such as PVC, tarpaulin, synthetic paper, coated-paper, uncoated paper, film, textiles and more. In addition, the company pointed out that it also allows the use of lighter weight substrates which can reduce overall costs, including shipping. Ricoh added that it is expanding the range of compatible substrates through its continuing media profiling and testing programme in partnership with Colour Concepts, an industry standard for media validation. "Ricoh latex inks offer outdoor durability of one to two years, or two to three years with lamination. With white ink," said Palmer, "printers' clients benefit from brilliant colour on all substrates - including transparent and dark materials - for signage, branded materials and window displays. And the addition of orange and green extends the colour gamut to encompass a wider range of vibrant colours, ideal for both indoor and outdoor materials, and to reproduce corporate colours accurately." Stephen PalmerUsing Ricoh's latest generation of high quality stainless steel multiple jetting piezo inkjet heads, three different drop sizes are produced at once, with drops as small as four picolitres. These have been incorporated to create smooth, lifelike images every time, and Ricoh maintains the small drop size also enables production of smooth gradations and fine details, including fine lines and small fonts. Another feature of the Ricoh Pro L4100's is its Uninterrupted Ink Supply System (UISS) which is designed to add additional productivity to the printer. "When one CMYK ink cartridge runs out of ink, the system switches automatically to the second cartridge of the same colour for unattended printing," Palmer explained. "In a busy print production environment, this ensures that the operation runs as smoothly and productively as possible with minimal operator intervention." The Ricoh Pro L4100 is available with the ColorGATE RIP. "We are providing ColorGATE as a bespoke menu-driven RIP that allows users to choose the exact feature set they need," Palmer added. "It is intuitive, reducing the learning curve and improving productivity. And it includes excellent colour management tools ideal for demanding commercial print environments." Palmer concludes: "We anticipate that commercial printers will find the quality and environmental responsibility of a Pro L4100 series printer coupled with the power and colour management capability of the ColorGATE RIP an attractive combination. Especially as they are backed by Ricoh's world class service structure. 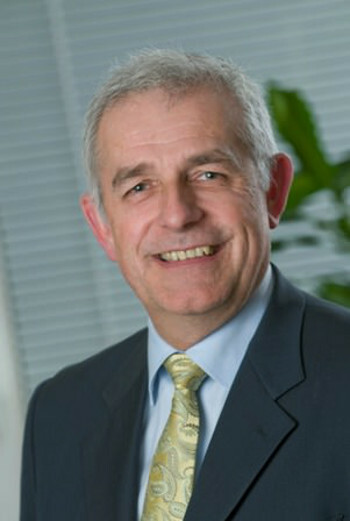 Today's announcement means they are able to coordinate the in-house production of a broader range of colour-managed print applications, strengthening their client relationships and improving their profitability." Rotomail Italia Invests In An HP T410 Color Inkjet Web Press. Domino’s Installs First N600i At Reynders Label Printing. First for VG Print, First for HP!